A new addition to my year end reviews! I have one of those personalities that falls in-love with things almost obsessively until something else comes along and demands more of my attention. Below are the big things I fell in-love with in 2014 and why you should check them out, too! Let’s not pretend I’m a small person. Okay, I mean, I am small in stature (5’ 1”), but I’m curvy even at my skinniest weight and I’m not skinny right now. As a result, finding cool clothes that fit me has been difficult in years past, leaving me dressed like some old lady – which I am not. In fact, if I had to describe the style that fits my personality most, it’d be edgy. I can’t even remember the search term that brought me to Torrid, I just know I was sadly searching the internet for cooler clothes in my size when I stumbled upon them and was instantly addicted. Admittedly, I’ve nearly replaced my entire wardrobe with Torrid clothes this year, which was a hit to my pocket, but the reason I love them so much is not just because their style is in line with mine, but also because I’ve never paid full price for a thing there. Deals-Deals-Deals, every single day. Having “cool” clothes that actually fit my frame has done wonders for my mental state where my self-esteem is concerned, and sure, I’d still like to be thinner, but I have to admit I don’t hate my fatness the way I did before – where I couldn’t even look at myself in the mirror without wanting to cry. At least now, it’s confined properly in clothes designed for a body like mine, that don’t make me look old, and dare I say, I’ve even felt somewhat pretty on occasion this year thanks to Torrid. If you’re a bigger girl (size 12-22) and looking for something stylish and reasonably priced, you should probably check them out HERE! My good friend, Heather, got me into Frozen this year and I just happened to watch Rise of the Guardians on demand shortly after watching Frozen because I was looking for something similar. It was instant, this love I had for Elsa and Jack together, a crossover that will never happen. My mind drew up all sorts of connections, all sorts of back stories. It was silly, really, but I couldn’t stop myself. And when I told Heather about it, she said I wasn’t alone. 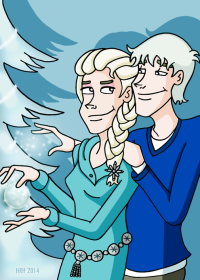 That apparently a whole fanbase existed to support “Jelsa.” This only encouraged my imagination and my first OTP became a thing. I love the idea of Jelsa being a real thing so much that Heather got me these adorable Jelsa stickers for my birthday this year and I even commissioned her for some winter Jelsa art. I don’t know if anyone can convince me to stop loving an impossible thing at this point. Another good friend, Akoss, can take the blame for my love of Loot Crate. She started a youtube channel this year, mostly to highlight her love for reading, and while catching up on it one night, I watched her first Loot Crate unboxing. The video wasn’t even completely over before I knew I HAD to sign up. I wanted every single thing in that box. Just the idea of getting a themed, geeky filled box of fun every month for such a crazy low cost was appealing enough, knowing the kind of stuff that would arrive in them really sealed the deal for me. Sometimes there’s a shirt, or toy, or comic book – lots of the time they’re exclusive items that can only be acquired through Loot Crate! Below are just a few examples of some the boxes I’ve received since. It’s a subscriptions service/treat I’ll definitely allow myself to keep up in 2015. 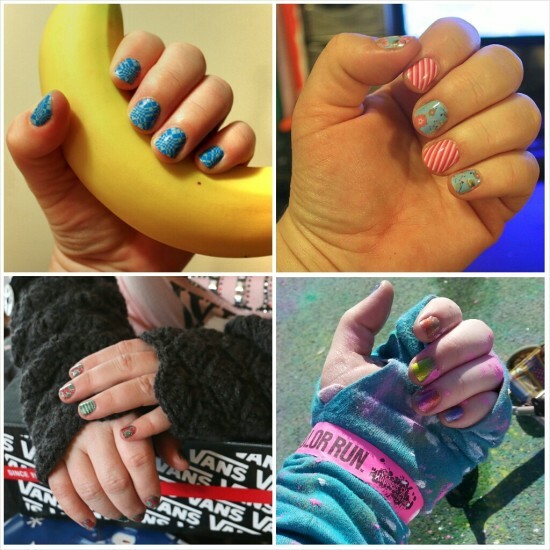 Yet again, another dear friend, Nakia (aka: my pseudo-sister), can take credit for my love of Jamberry this year. (Look I’m easily corruptible, obviously.) She decided to be a consultant so she could make a little money while going back to school and caring for her son and at first I only gave it a shot because I wanted to support her new venture. I didn’t really expect to love it as much as I did, but 20 Jams later and I’m hooked. Admittedly, these don’t always last the full 2 weeks for me, but that’s okay because I know I’m hard on my nails and they still last a heck of a lot longer than nail polish does. Plus, SUCH CUTE DESIGNS! I couldn’t get these adorable prints with nail polish even if I tried. Maybe they seem a little expensive, especially if it’s your first time, but they really are a nice treat if you’re someone who likes having fun nails! My love of toys isn’t a new thing, but it has been resurrected, thanks to Loot Crate. When I moved into my apartment 7 years ago, I didn’t bring any of my toys with me. I have a lot that I’ve collected over the years, waiting patiently for me in my parents attic, because apartment living isn’t really ideal for large collections such as mine. I always imagined myself having a whole room dedicated to my toys or maybe one that was shared with my books or something, but here I am 7 years later and still in an apartment and I’m just tired of missing out on something I’ve always loved. Loot Crate exposed me to Funko’s mystery minis back in September. 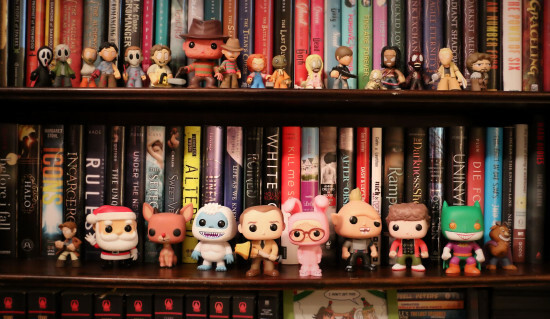 It’s not like I’d never heard of Funko before, in fact I’ve been tempted many a time to pick up a Pop! figure, but once I had that first mystery mini in my possession, I couldn’t stop myself from buying more. And so in the last three months, my collection went from nothing to this (see below) and I think it’s safe to say this toy collector is back in action! In 2015, Funko will be releasing a new line of Frozen Pop!’s and mini’s that I must have and a line of Garbage Pail Kids inspired figures too. I’m already SO excited! I’m sure there were other things I got into in 2014, but these are the handful I’m pretty sure will stick around for a long time to come. What kinds of things did you get really into in 2014?